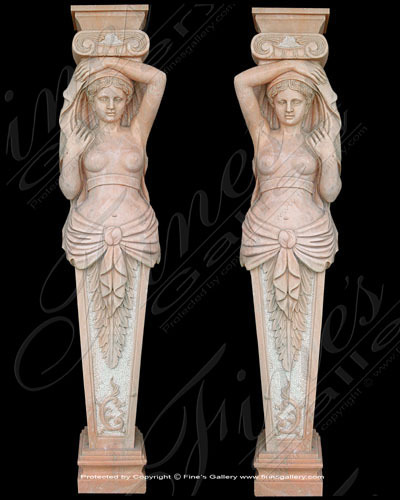 Incredibly ornate hand carved female caryatids. These rare architectural gems with their incredibly detailed depiction of a gorgeous woman surrounded by flowing garments and flowers. Carved from light cream marble, available in white marble. 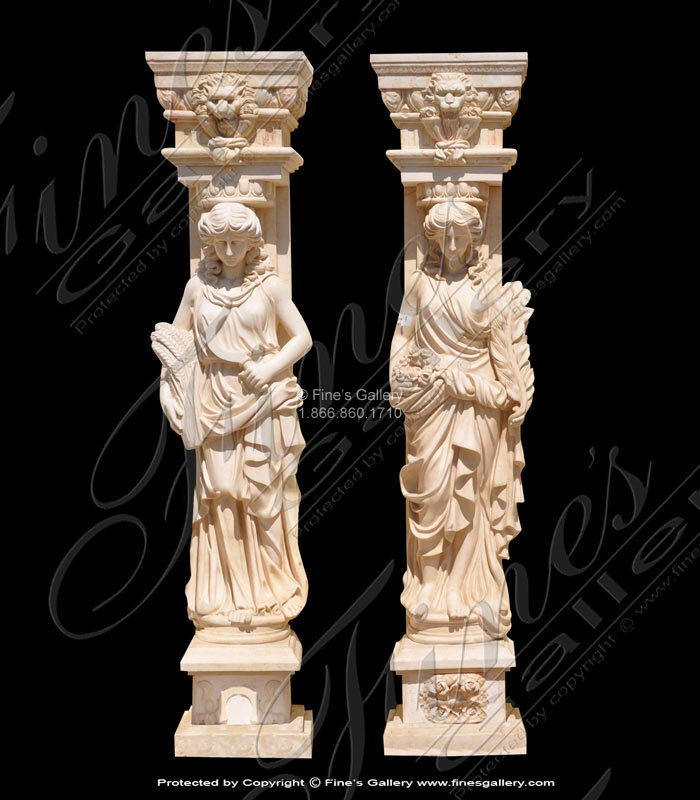 Roman Women Marble Pilasters carved from pure white marble. 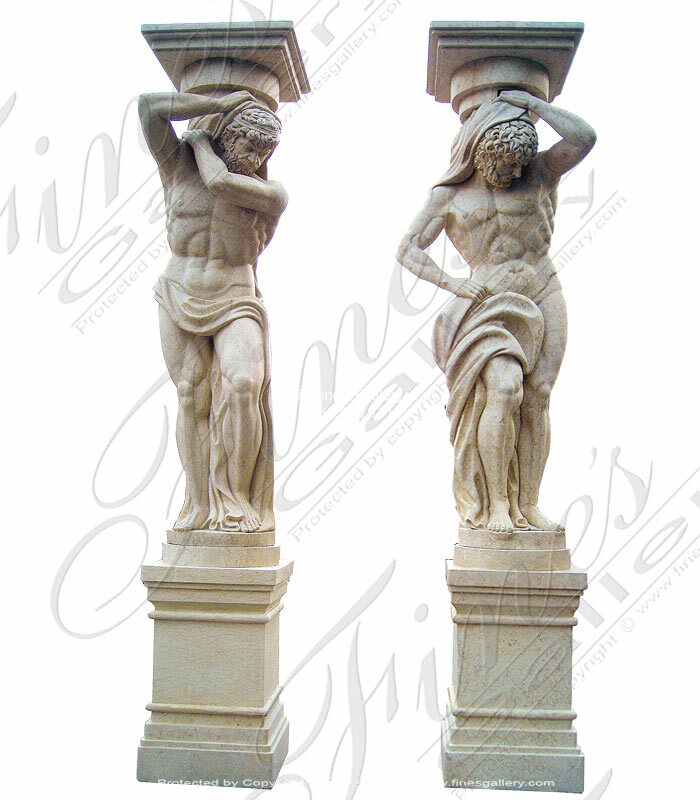 The statues have been designed as part of a wall mounted pilaster. These can be incorporated into your architecture for strictly aesthetic or structural use. Since ancient times, statues have taken the place of columns for a look of exotic beauty. 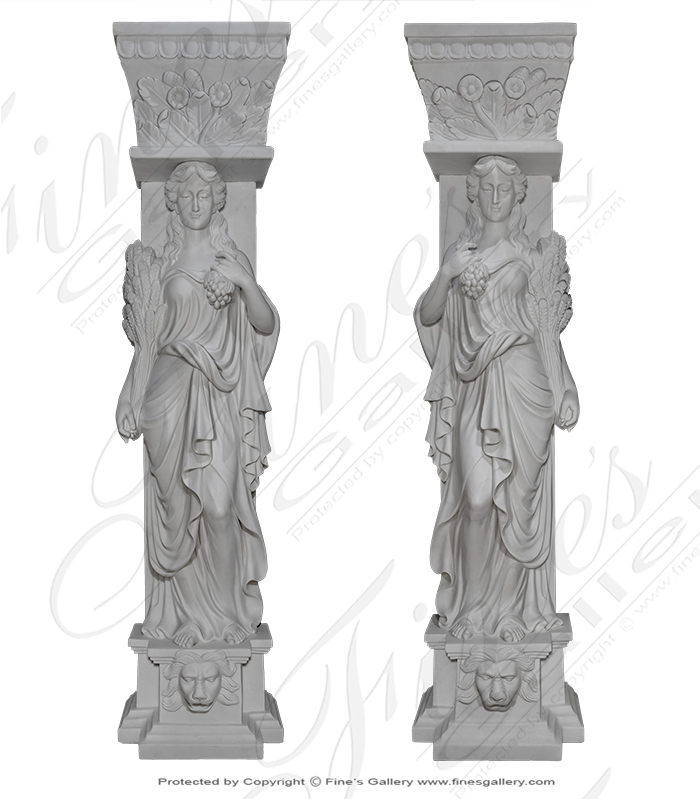 These beautiful Roman caryatids are hand carved with artistic mastery and will add a feeling of majestic elegance to your building project. Greco Roman Caryatid Pilasters. A breathtaking column, featuring the highest quality artwork available in our genuine marble! This gorgeous design portrays a beautiful woman with cascading gowns surrounded by lion head and grape decor. 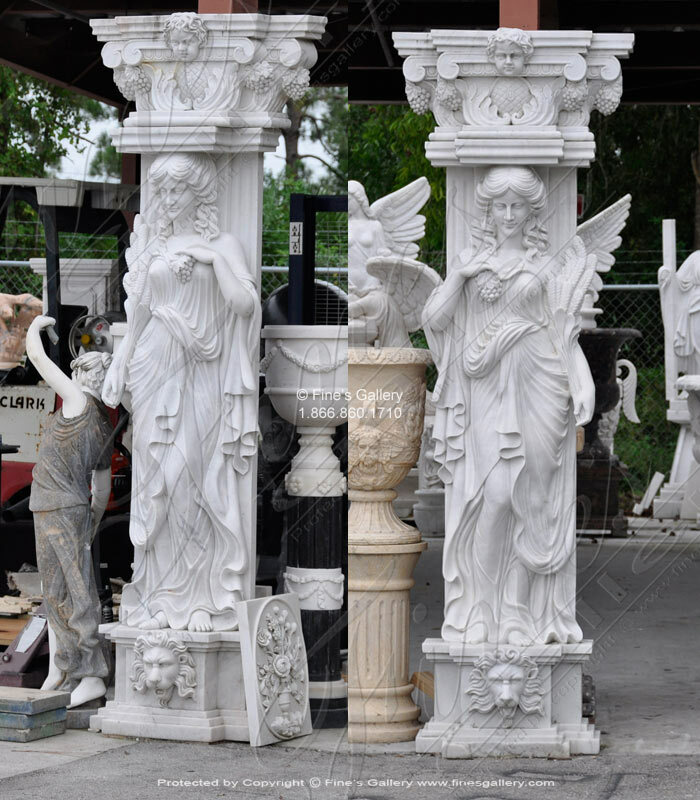 Ornate Roman Women & Cherubs Caryatids carved from pure white marble. 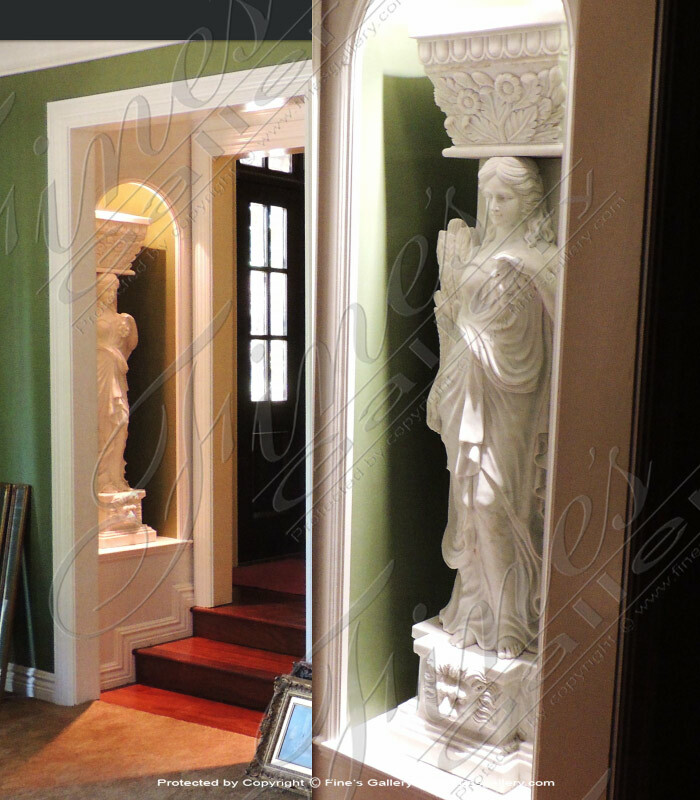 Figural Marble Caryatid Pillars. 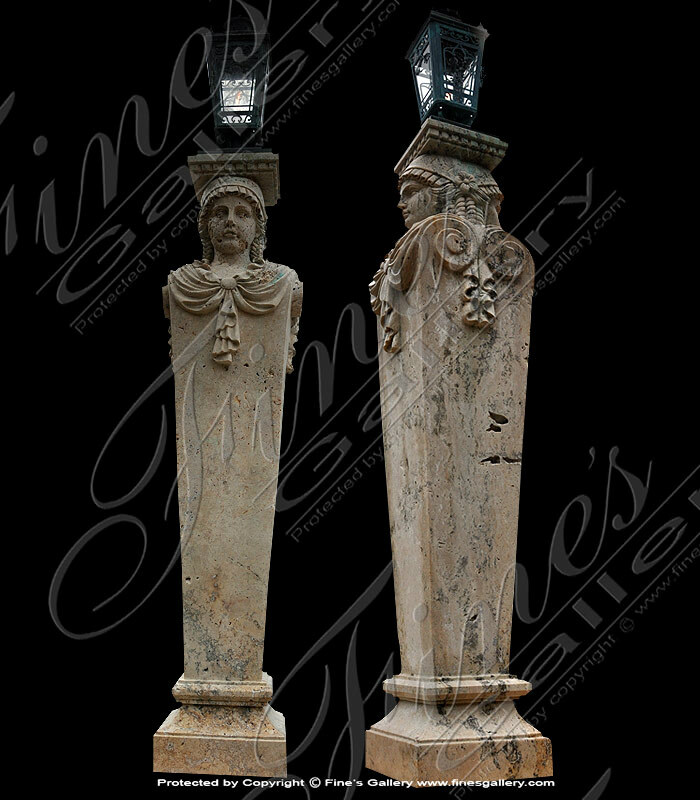 This intricately hand carved old world style column shows meticulous detail and fine artwork. Within the structure is a beautiful dancing woman with flowing gown. Elaborate cap and base, decorated throughout with grapes. 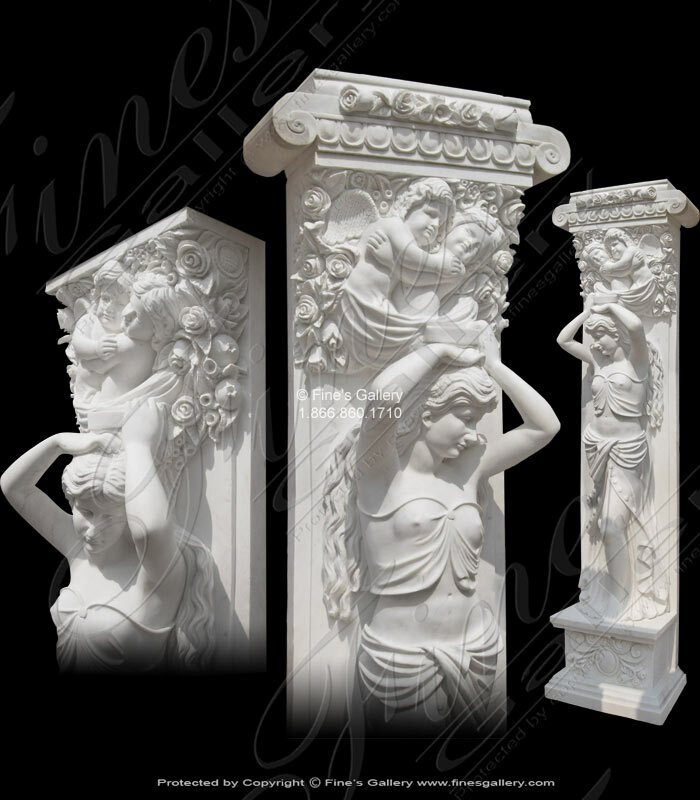 Artistic beautyshines within these white Carrara marble columns. 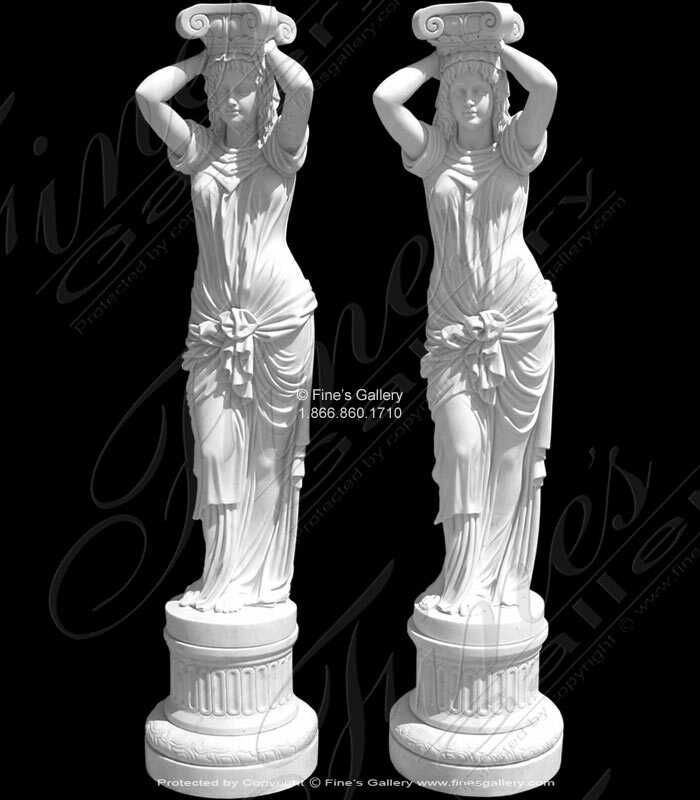 Delicately carved Greek maidens carefully detailed in this fine marble will provide you with the treasureof a lifetime. Features Greek style scrolled capital and fluted round base. 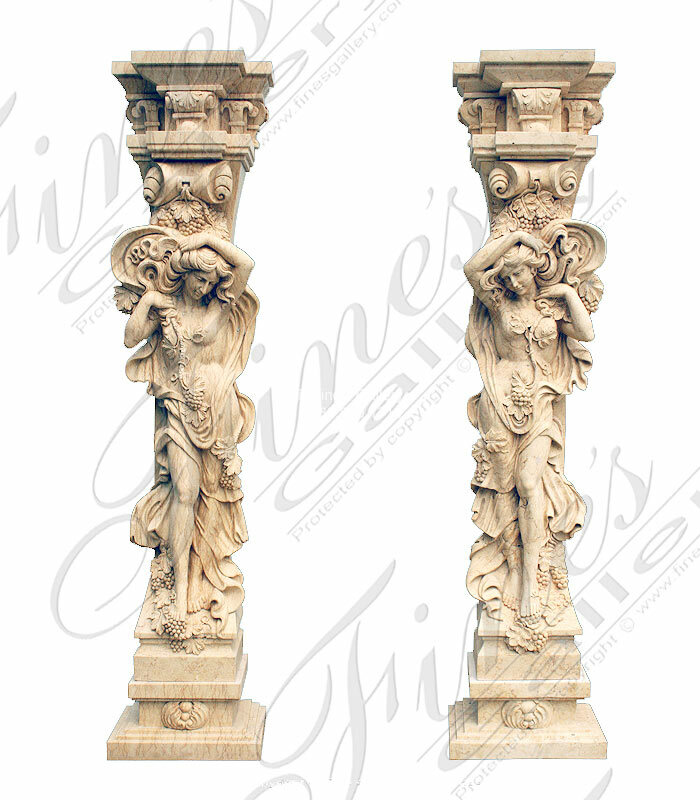 Amazing hand carved Old World Hercules Marble Columns. Pictured in an exquisite cream marble. These old world roman mythical masterpieces can be sized to your requirement. Trust our over two decades of experience. Visit our South FL USA Showroom. These magnificent columns add unforgettable beauty and luxury to a building project. 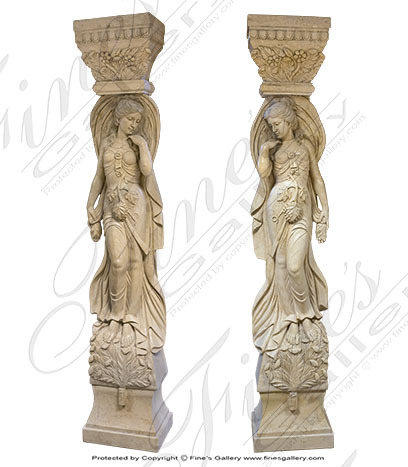 Hand carved with flawless craftsmanship, these ornate columns feature elaborate detail and full sized Roman maiden caryatids for a feeling of exotic enchantment.